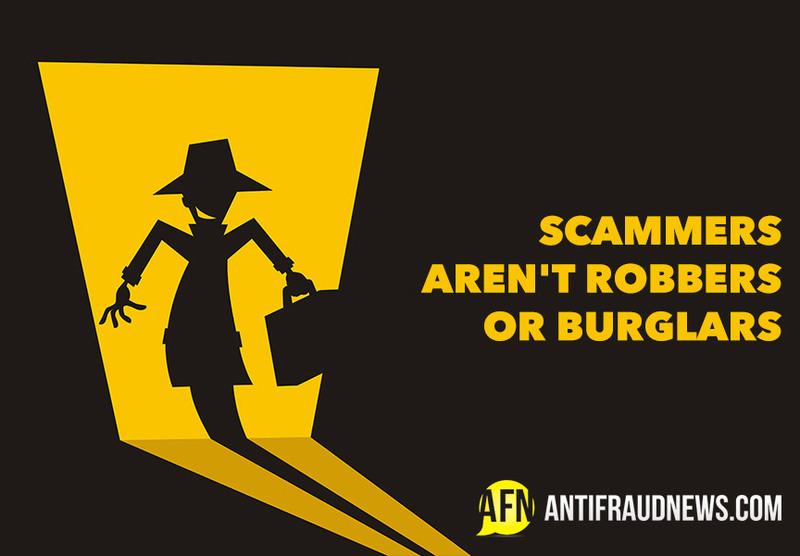 Think a Scammer will flee once he has your money? Think again! What’s the difference between a Mugger and a Scammer? The Mugger hopes that you will never see him again. The Scammer hopes to be with you for life. You will probably receive their emails with monotonous regularity: fortunes with your name on, just waiting to be claimed. Unlimited, unsecured loans at incredibly low interest rates available to anybody, regardless of situation. Vast sums of cash overseas for you to launder through your bank account for a huge cut. These scenarios are all ‘419’ advance fee fraud. However, getting your hands on your cash isn’t going to be that simple; there is a fee. If you pay it, your Scammer will be rubbing his hands, not only with glee but in anticipation. Once you have been scammed it may feel like the end, but for your Scammer it could be the start. Once you have paid up, another, unforeseen fee will soon be required. Just one more payment, maybe to hire a Barrister and all helpfully arranged by the Scammer of course. Pay that and……guess what? A further payment is now needed, perhaps to bribe a corrupt Customs Official to look the other way as your consignment of cash passes under his nose. Pay that and….. well, the list is endless and inexhaustible. In fact, your cash or your patience will run out before your Scammer does. In many scams, the Victim may pay 2 or 3 times before he or she gives up. In extreme cases, the Victim continues to pay fees for months, years, even decades! One particularly devious ploy to extract more money from a Victim is for the Scammer to adopt a different persona or recruit a friend and try the Recovery Scam. The Victim is sent an officially worded email, acknowledging that ‘the authorities’ are aware that he has been scammed and that they are here to reclaim his monies from the Scammer. All the Victim has to do is… (You’ve guessed it) …pay a fee. The audacity of it! You could borrow money from anyone who will listen to you, including your relatives, your children, your friends, even your bank. You could well be left broken, bankrupt, destitute, homeless, even driven to suicide. Meanwhile, your Scammer will be living it up on your continued payments; feasting and drinking in his new home inside a high-walled compound to – wait for it – protect him from other thieves! As you desperately and probably hopelessly try to get law enforcement to help you get your monies back, your Scammer will be riding around his dusty town in his new Jeep, dripping with tasteless gold jewellery and tacky designer sportswear. You can avoid this unspeakable scenario and its endless spiral of debt by never answering scam emails, hanging up immediately on scam phone calls, and by keeping your money and your lifestyle safe.